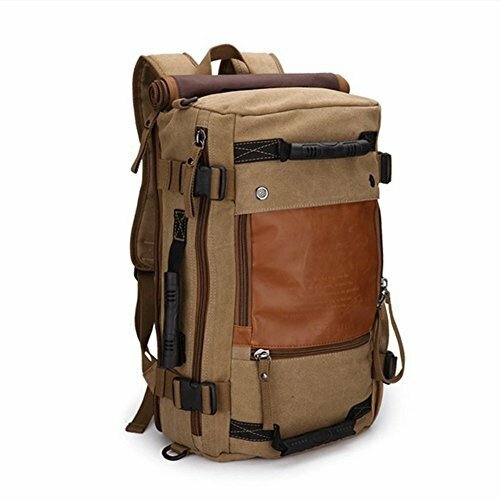 This convertible khaki rucksack is perfect for the adventurer on the go. It can be used as a duffel bag, backpack, or a cross-body messenger bag. Its rugged, durable look will solidify your status as the next great explorer to uncharted territories!